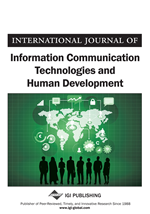 Using the case study of the Tlowitsis, a dispersed indigenous community in British Columbia, Canada, this paper explores the role of ICTs, and in particular participatory video, in nation building. Also, the paper identifies factors that affect both the involvement and exclusion of the membership and addresses the challenges faced and lessons learned. ICTs, in particular new media technologies, offer great potential to overcome the geographic barriers caused by dispersal. However, it remains uncertain how they might contribute to the process of nation building. In this regard, the authors present six fundamental requirements for nation building, and then use these requirements to structure an analysis of the Tlowitsis case study. The Tlowitsis Nation’s traditional territories spanned a large area of northern Vancouver Island from ancient history until the early 20th Century. Prior to this time, Tlowitsis members engaged in a range of land-related subsistence activities such as gathering plants, fruits and berries, hunting and trapping fish, elk, deer and moose, and clam digging. They occupied a number of seasonal village sights scattered across islands along Johnson Straight and on Vancouver Island. Seasonal travel routes, food processing areas, burial and cultural sites and other named places extended across the entire territory. Most of their activities were concentrated along waterways, marine channels and passages, river systems and freshwater lakes (Galois, 1994). In the 18th Century British and Spanish explorations occurred in the area simultaneously. In July 1791, the ships Santa Saturnina and San Carlos explored the Strait of Georgia, identifying places along the east coast of Vancouver Island (Wagner, 1933; cited in Kennedy & Bouchard, 2008). This contact heralded the era of colonization that continues to influence Tlowitsis governance and decision-making until today. During the fall of 1879 the Indian Reserve Commission began to designate reserve lands for Tlowitsis. Despite the range of territories and resources utilized by the Nation prior to contact, only 11 reserves were allocated through an exclusionary process that did not consult Tlowitsis leadership. Many of these reserves are tiny in size (less than a few hundred square metres) and in remote and inaccessible locations (see map below). In 1914, Tlowitsis Chief Johnnie Clark petitioned the Royal Commission on Indian Affairs for the Province of British Columbia arguing the inability of reserve lands to meet the needs of the Nation and the failure of the Crown to consult his people.